Los Prados is one of the upscale neighborhoods in Santo Domingo, where you can live in a quiet evironment surrounded by parks but also by restaurants, shopping centers, Hospitals and offering easy and fast access to some of the principal avenues of Santo Domingo such as the Nuñez de Caceres and the John F. Kennedy. These and much more things makes Los Prados a excellent place for living. \r\rOur 5 levels building offers a really quite environment due to its privacy and the small number of apartments per floor. 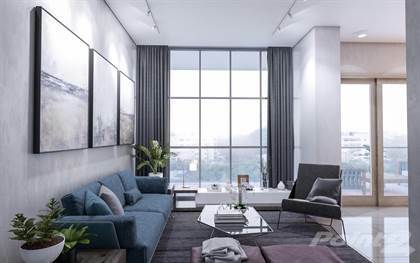 \r\rThis new tower will offer: \r\rModern design \rElevator \rLobby with receptionist \rSecurity guard \rDoors with access control \rElectric doors for parking \rBackup Generator \rWater Pump \r\rThe apartment consist in: \r\r128 square meters \r3 bedrooms \r3.5 bathrooms \rLiving area \rKitchen \rLaundry area \rMaid's room with own bathroom \rBalcony \r\r\rFor more information, please do not hesitate in contacting us. Penthouse units with outdoor terrace is also available. Hi, I'd like to find out more information about Nice 3 bedrooms apartment for sale in Los Prados, Santo Domingo. Thanks so much!